Boost high-throughput analysis procedures in life science, biotech, pharmaceutical, chemical, and higher learning laboratories. NETA Scientific is a leading supplier of superior quality reactors, screening systems, vacuum systems, and workstations for boosted high-throughput analyses. 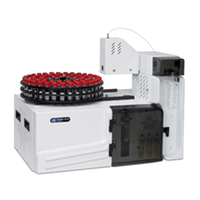 Get optimal lab results with versatile microarray hybridization equipment, automatic nucleic acid purification systems, nucleic acid and peptide synthesizers, and reaction blocks. We carry equipment from trusted brands.